#SHUTUPDIABLO...an incredible ride with Jens Voigt! April is National PI Awareness Month and April 22-29 is World PI Awareness Week! 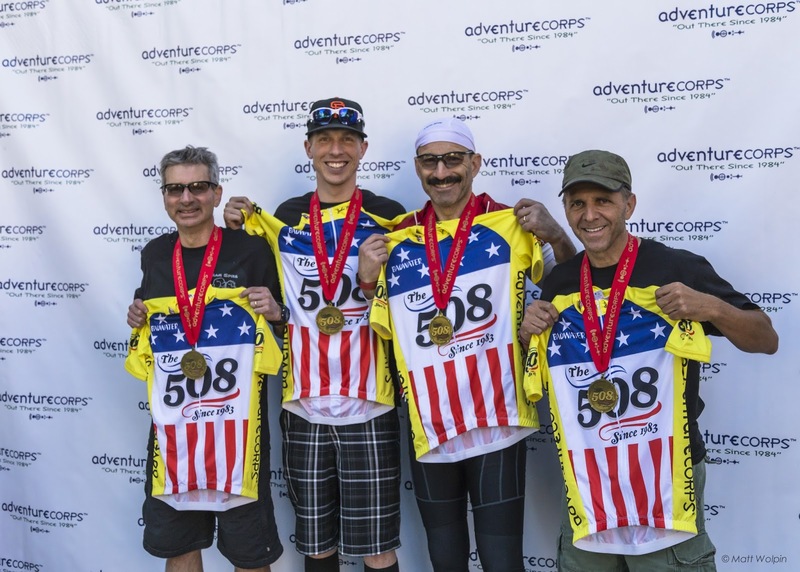 The Racing Roosters are gearing up for the 2016 Silver State 508 and we're kicking off the season with an opportunity FOR YOU to DO GOOD, RIDE HARD, LIVE WELL, and LOOK AWESOME wearing the new ROOSTER RACING JEFFREY MODELL FOUNDATION EDITION jersey! If you've followed my blog in the past, you know that the ONETOUGHRIDE project has shared a relationship with the Jeffrey Modell Foundation since it's inception back in 2010. 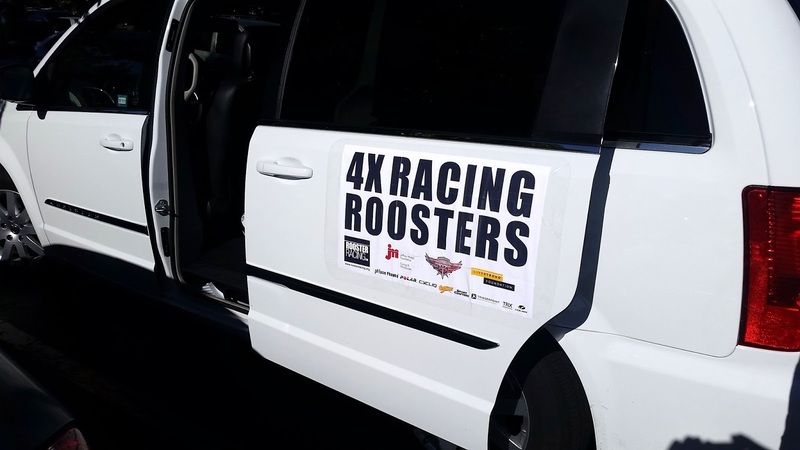 In 2015 I joined Rooster Racing International, Incorporated and have promoted the ONETOUGHRIDE project as a part of the organizations larger platform. 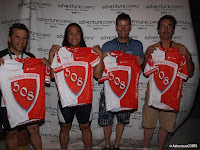 The Racing Roosters have a podium finish at the Silver State 508...more details to come! We'll dig deep this weekend, will you be a part of the team? Thanks to everyone that has responded to the call for action in the email campaign that I launched this past weekend. The 508 is a significant endeavor to train for that requires both physical and mental training. And unlike the epic Grand Tours such as the Tour de France, the "team" is on the podium at the finish and each racer on the team is recognized equally. While the team may have varying levels of skill, all members of the team motivate and drive the best that each has to give that day or night on the 8 Stages of this 510.4 mile non-stop race. Just as I consider my wife and children as team mates supporting and motivating me from afar during this and past four 508 races, I like to think that everyone that has donated to the ONETOUGHRIDE project over the past 5 years has been right alongside my family and I in being a part of the team that the Jeffrey Modell Foundation and amazing doctors and scientist's like Dr. David Lewis are on. This team raises awareness and funds and leads research to find treatments, and one day a cure for Primary Immunodeficiency Diseases. They work incredibly hard and dedicate endless hours to the cause. My team of the Racing Roosters and I will dig deep this weekend and there's a lot that can happen over 510.4 miles of non-stop racing even when everything goes right. If you haven't clicked the Just Give link yet I am challenging YOU to dig deep and support the cause. 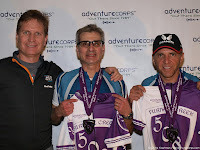 Just like it will take the support of the team to make it to the finish in Reno this weekend, it takes the support of a team to ensure amazing organizations like the Jeffrey Modell Foundation and incredible doctors and scientists like Dr. David Lewis are able to accomplish the goals that they strive for. The challenge is personal but the impact is global, WILL YOU dig deep? We're in Reno in just 5 days, and I am RACING for all those that battle PI every day! I received a real boost of motivation this week! With less that two weeks to go till the international squad of Rooster Racing (racing under the team/totem name of the Racing Roosters) arrives in Reno, NV for the start of Silver State 508, I received an email from Vicki and Fred Modell of the Jeffrey Modell Foundation. They have once again committed to matching all donations received from this fund raising effort and directing those to the local research efforts of Dr. David B. Lewis and his team at the Jeffrey Modell Research Center of Excellence at Stanford. Dr. Lewis is not only an incredible Physician and Scientist, but we also share a patient/doctor relationship with him. Vicki and Fred founded the Jeffrey Modell Foundation to honor their son Jeffrey who unfortunately lost his battle with Primary Immunodeficiency (PI) disease at the age of 15. This incredible couple has supported the ONETOUGHRIDE project from the first conference call back we shared back in 2010 when I originally pitched the idea to them. While I may have been the one on the bike since we started this project in 2010, Vicki and Fred (and the rest of the team at the Jeffrey Modell Foundation) have always been right alongside my family and others in motivating me to complete the 18,051 miles and 1,320,961 feet of training and racing that I have done in the past five years! With just two weeks to go, there is still a lot to do to prepare for the Racing Roosters participation in the Silver State 508. Unlike other ultra cycling races, the length of 508 coupled with the fact that it is a non-stop multi-day race means that the coordination and logistics become a challenge similar to that of the training required to compete in the race. Thank you in advance for your support, and look for further updates prior to and during the race! Click on the jersey to order! ONETOUGHRIDE is a fund raising effort to support research to find a cure for Primary Immunodeficiency (PI) diseases. The Jeffrey Modell Foundation is matching 100% of all donations for local research conducted at the Jeffrey Modell Primary Immunodeficiency Center at Stanford. 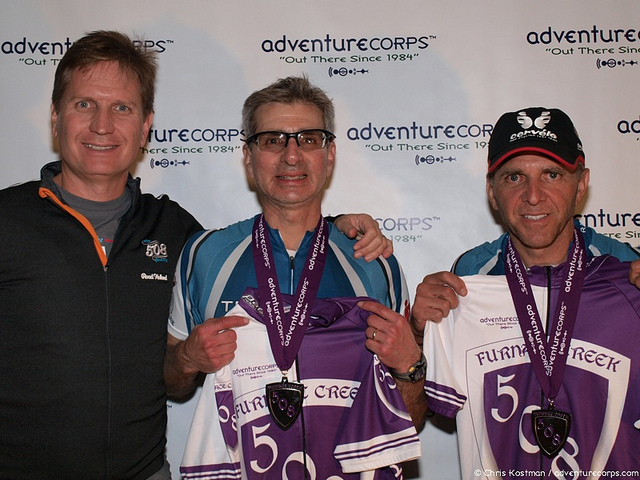 As a father of a child with PI, I have used various ultra endurance cycling events (since starting the project in 2010) as a backdrop for fund raising to support the efforts of the Jeffrey Modell Foundation. I will once again use my participation in the 2016 Silver State 508 to raise awareness and funding for the Jeffrey Modell Primary Immunodeficiency Center at Stanford which is under the directorship of Dr. David B. Lewis. Dr. Lewis is an incredible Physician and Scientist, and it is truly an honor to be able to play a small part in supporting the work that he and his team are doing. Our family is also very fortunate to have Dr. Lewis as our child’s immunologist. I hope that you will join me in this effort by clicking on the link above and making a donation to support this cause. This challenge is personal but the impact is global, and I'll be racing for all of the children and adults around the world that battle PI diseases every day!